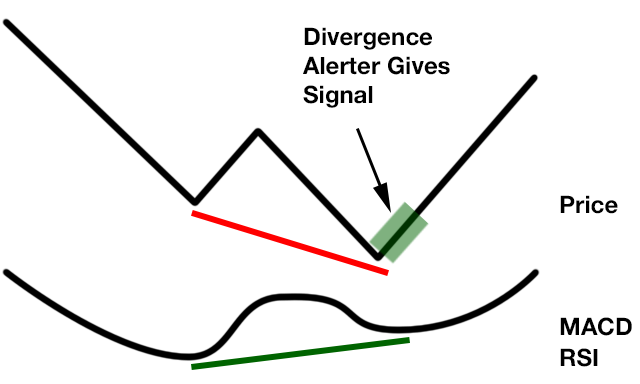 A Divergence Alerter is a very valuable tool to detect an edge on a bigger time frame which you can then use to trade on lower time frames as an additional performance booster! You can even use divergences as a standalone trading system. What Signals Will You Get? The Divergence Alerter will give you signals when bullish or bearish divergences between the price and one of the two oscillators MACD/RSI exist. 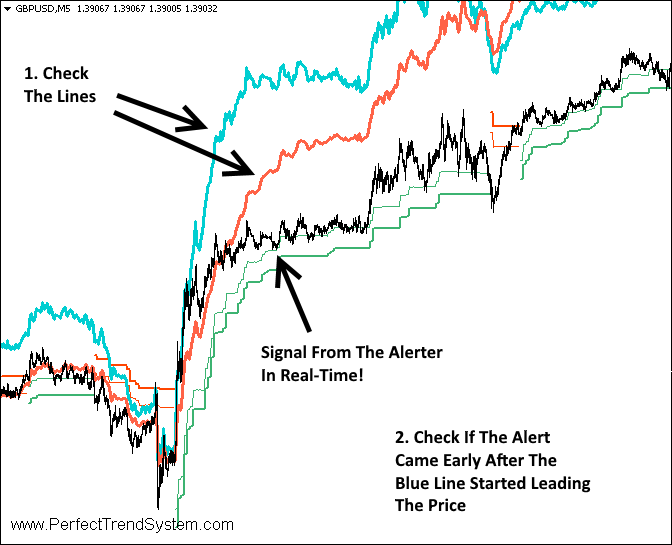 The Divergence Alerter will scan for you up to 30 instruments on up to 8 time frames (M1 to W1). 7 Days Money Back Guarantee! No questions asked. I will directly refund your money if you request within 7 days after your purchase. Exceptions: If I already answered questions about the product then I invested my personal time and then I can't give you a refund. 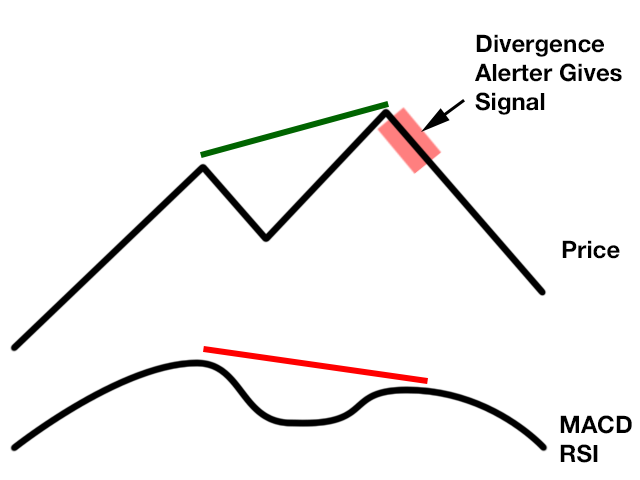 How To Use A Divergence Signal? A divergence signal in itself is NOT an entry signal. A divergence signal is a early warning that a trend reversal might occur. But if the reversal occurs then it will usually have a lot momentum and can produce big winners with trend based trading methods on lower time frames in direction of the divergence! A very good trading method which you can use in conjunction with the FREE Divergence Alerter is the system "Strong Trends + Magic Entry" which comes with an Indicator and an Alerter. As soon as you get e.g. a signal for a bullish divergence you can then configure the Alerter of the system "Strong Trends + Magic Entry" to give signals in direction of the divergence. If the reversal in direction of the divergence has a lot momentum then it will produce a MagicEntry-Setup. But you can also trade any other trend based trading method in conjunction with the FREE Divergence Alerter and boost the performance of the system! E.g. 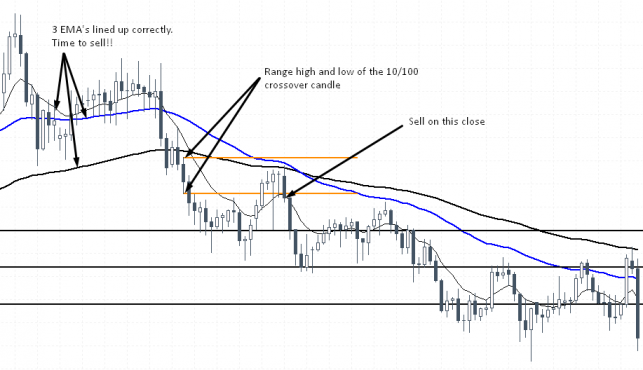 you can trade a simple 3-Moving-Average system in direction of the divergence. As a result you will have a higher winning percentage and bigger winners if you use the divergence!